In 3-quart saucepan, heat broth to boiling over high heat. 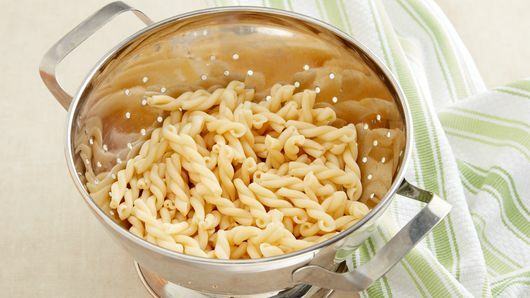 Stir in pasta; cook 8 to 10 minutes, stirring occasionally, until pasta is al dente. Reduce heat to medium. Stir in frozen vegetables and garlic powder; cover and cook 5 to 6 minutes, stirring occasionally, until crisp-tender. 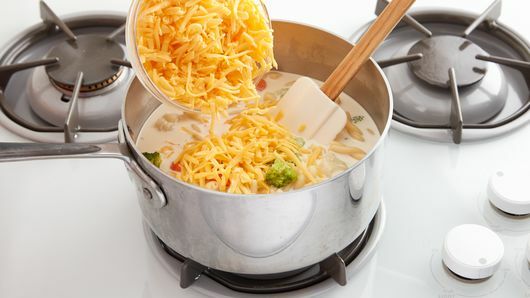 Stir in whipping cream and cheese; cook 2 to 3 minutes, stirring frequently, until cheese is melted and heated through. Serve this tasty soup with Pillsbury™ refrigerated crusty French loaf. Pop the loaf in the oven to bake before you start the soup. 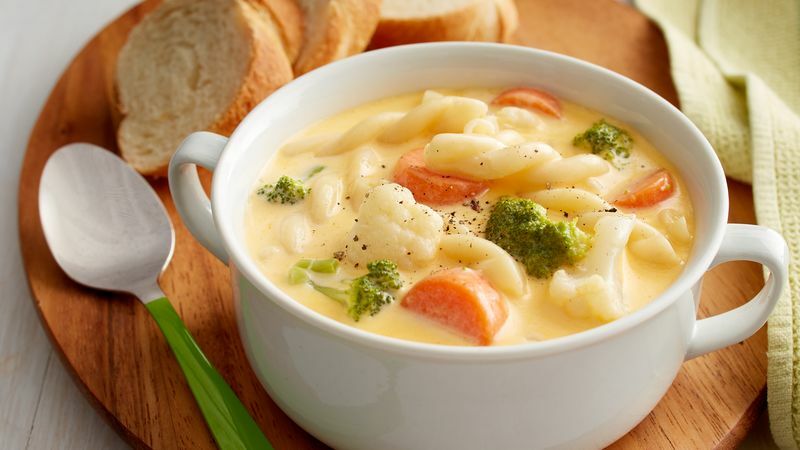 Substitute 1 bag (12 oz) frozen mixed vegetables for the frozen broccoli, cauliflower and carrots in this soup.